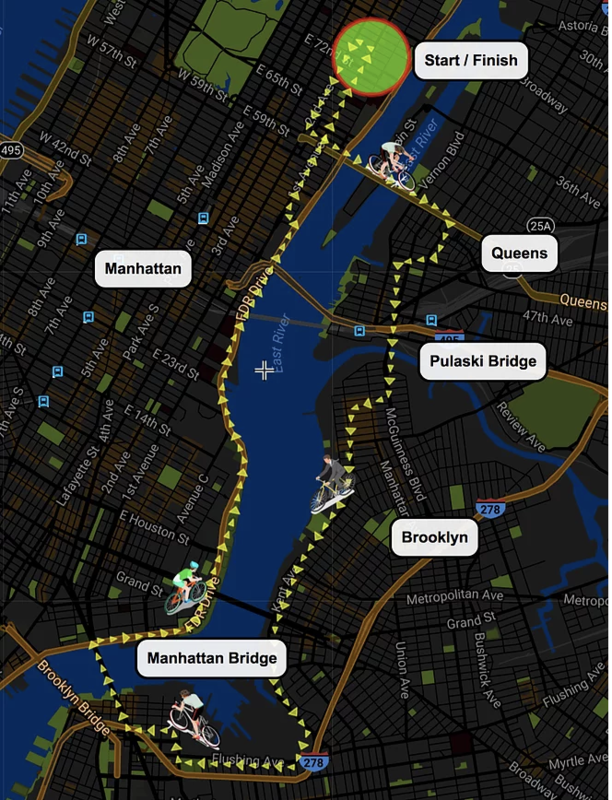 This tour of three NYC boroughs takes you on a loop around the East River and crosses the Queensborough Bridge into Long Island City, Queens. We ride along the Kent Avenue Greenway in Brooklyn, which takes us to the Manhattan Bridge. We cross the river again as we head back into Manhattan to the East River Greenway, then head back uptown to 75th Street. Enjoy three boroughs in just one day on this fun-packed tour!